Now you can think beyond the edges of the paper and create more inside the paper sheet as well. 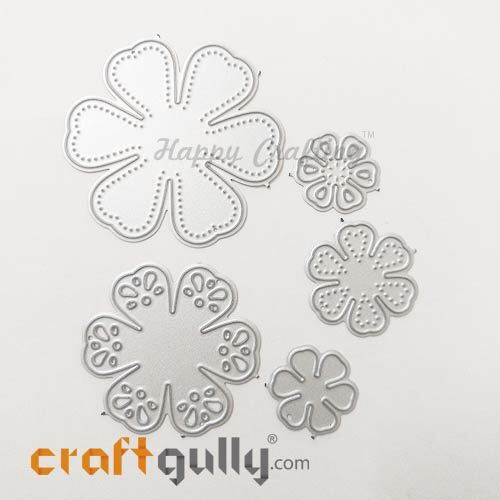 The CraftGully Anywhere Punch, as the name suggests, allows you to punch anywhere on the sheet, thus enabling you to imagine more and create more. 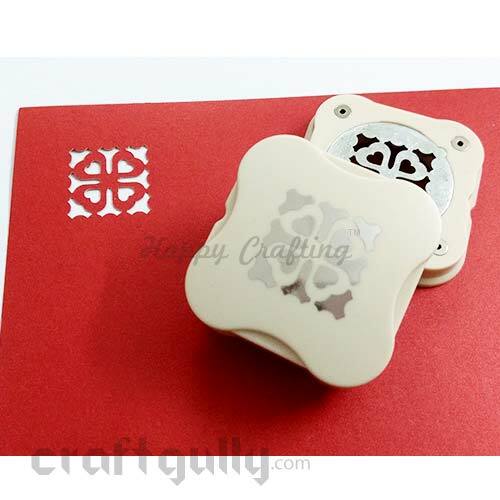 This awesome punch is a 2 piece punch with magnets that allow you to position and fix the punch where you want.Save on a lot of paper too when you are planning to use the punched out shapes. 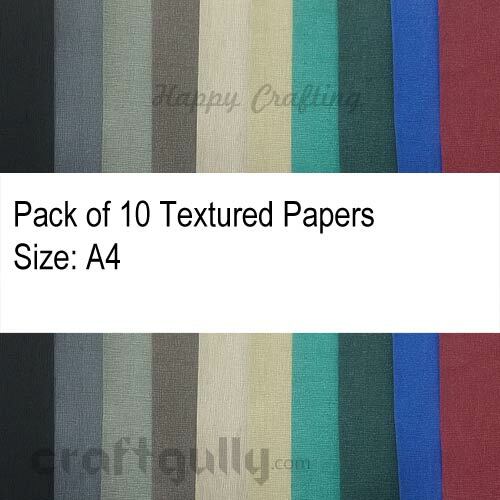 The CraftGully Anywhere Punch works great with all kinds of processed papers and cardstock upto 130 gsm. They also work on thin sheets of foam. 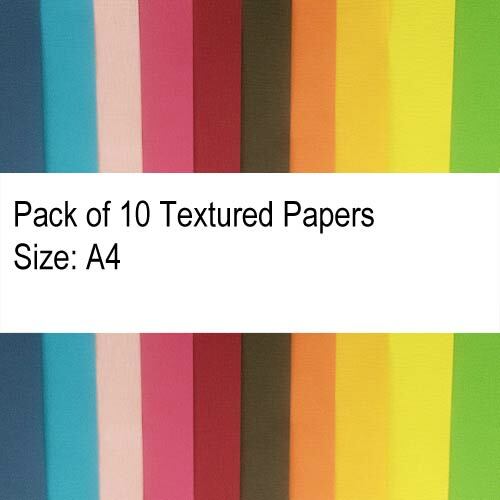 As with any punch that you use, always try on a sample area before using it on your main sheet.Shape Size: Approx 1.4 inchesColors shown are indicative, and may differ.Watch the video below on using the Anywhere Punch..
Now you can think beyond the edges of the paper and create more inside the paper sheet as well. The CraftGully Anywhere Punch, as the name suggests, allows you to punch anywhere on the sheet, thus enabling you to imagine more and create more. 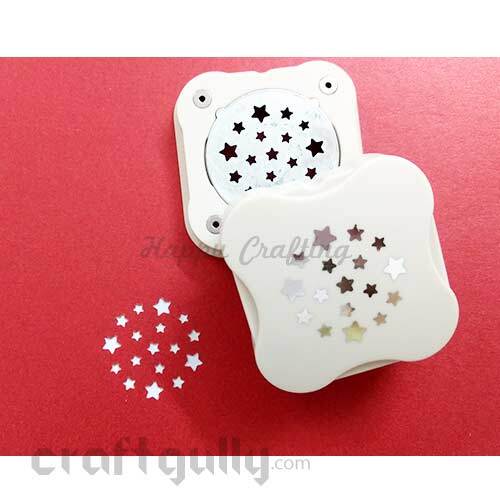 This awesome punch is a 2 piece punch with magnets that allow you to position and fix the punch where you want.Save on a lot of paper too when you are planning to use the punched out shapes. 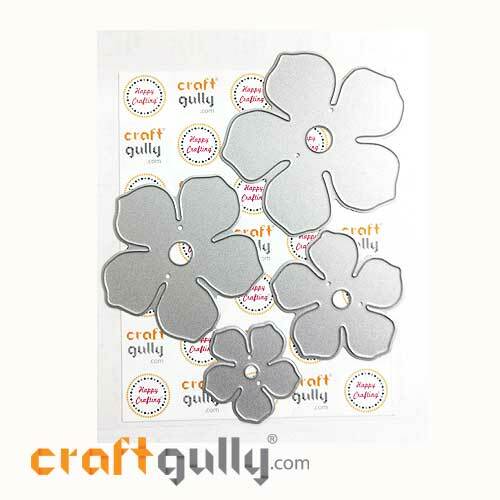 The CraftGully Anywhere Punch works great with all kinds of processed papers and cardstock upto 130 gsm. They also work on thin sheets of foam. As with any punch that you use, always try on a sample area before using it on your main sheet.Shape Size: Approx 1 inchColors shown are indicative, and may differ.Watch the video below on using the Anywhere Punch.. Compatible with most of the popular consumer die-cutting machines, these dies have been designed to cut all sorts of paper types from thin printer paper to thick cardstock, adhesive backed paper, vinyl and vellum. Die Size: Approx 32mm, 42mm, 56mm, 61mmQuantity: Pack of 4 diesTrue colors may vary from what you see on your screen.. Compatible with most of the popular consumer die-cutting machines, these dies have been designed to cut all sorts of paper types from thin printer paper to thick cardstock, adhesive backed paper, vinyl and vellum. 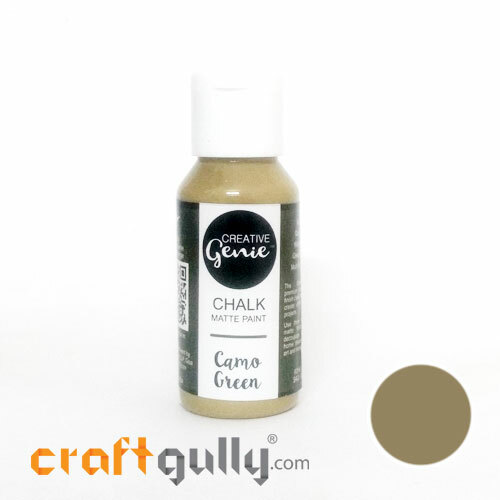 Die Size: Approx 10mm, 25mm, 45mm, 66mmQuantity: Pack of 4 diesTrue colors may vary from what you see on your screen.. Compatible with most of the popular consumer die-cutting machines, these dies have been designed to cut all sorts of paper types from thin printer paper to thick cardstock, adhesive backed paper, vinyl and vellum. Die Size: Flowers: Approx 30mm, 54mm, 56mmLeaves: Approx 46mm x11mm, 41mm x12mmCenter: Approx 13mmQuantity: Pack of 6 diesTrue colors may vary from what you see on your screen.. Compatible with most of the popular consumer die-cutting machines, these dies have been designed to cut all sorts of paper types from thin printer paper to thick cardstock, adhesive backed paper, vinyl and vellum. Die Size: Approx 10mm, 21mm, 33mm, 44mm, 54mm, 66mm, 76mmQuantity: Pack of 7 diesTrue colors may vary from what you see on your screen.. Compatible with most of the popular consumer die-cutting machines, these dies have been designed to cut all sorts of paper types from thin printer paper to thick cardstock, adhesive backed paper, vinyl and vellum. Die Sizes: Approx 51mm, 40mm, 26mm, 20mm, 20mmQuantity: Pack of 5 diesTrue colors may vary from what you see on your screen.. Compatible with most of the popular consumer die-cutting machines, these dies have been designed to cut all sorts of paper types from thin printer paper to thick cardstock, adhesive backed paper, vinyl and vellum. Die Size: Approx 104mm x 33mmQuantity: Pack of 1 dieTrue colors may vary from what you see on your screen.. Compatible with most of the popular consumer die-cutting machines, these dies have been designed to cut all sorts of paper types from thin printer paper to thick cardstock, adhesive backed paper, vinyl and vellum. Die Sizes: Approx 85mm x 73mmQuantity: Pack of 1 dieTrue colors may vary from what you see on your screen.. Compatible with most of the popular consumer die-cutting machines, these dies have been designed to cut all sorts of paper types from thin printer paper to thick cardstock, adhesive backed paper, vinyl and vellum. Use this die to get cute little baby feet in outline or full. Also includes sentiments: 'Baby Shower Its boy' and 'Baby Shower Its girl' Die Sizes:Baby Feet: Approx 55mm x 75mmSentiment: Approx 35mm x 30mmQuantity: Pack of 4 dies (two feet, and two sentiments)True colors may vary from what you see on your screen.. Compatible with most of the popular consumer die-cutting machines, these dies have been designed to cut all sorts of paper types from thin printer paper to thick cardstock, adhesive backed paper, vinyl and vellum. Die Size: Approx 115mm x 27mmQuantity: Pack of 1 dieTrue colors may vary from what you see on your screen.. Compatible with most of the popular consumer die-cutting machines, these dies have been designed to cut all sorts of paper types from thin printer paper to thick cardstock, adhesive backed paper, vinyl and vellum. Die Sizes: Approx 100 x 40mmTrue colors may vary from what you see on your screen.. Compatible with most of the popular consumer die-cutting machines, these dies have been designed to cut all sorts of paper types from thin printer paper to thick cardstock, adhesive backed paper, vinyl and vellum. Die Size: Approx 152mm x 22mmQuantity: Pack of 1 die (outline and hearts come out as 2 separate pieces)True colors may vary from what you see on your screen.. Compatible with most of the popular consumer die-cutting machines, these dies have been designed to cut all sorts of paper types from thin printer paper to thick cardstock, adhesive backed paper, vinyl and vellum. Die Size: Approx 130mm x 20mmQuantity: Pack of 1 dieTrue colors may vary from what you see on your screen.. Compatible with most of the popular consumer die-cutting machines, these dies have been designed to cut all sorts of paper types from thin printer paper to thick cardstock, adhesive backed paper, vinyl and vellum. Die Size: Approx 134mm x 16mmQuantity: Pack of 1 dieTrue colors may vary from what you see on your screen.. Compatible with most of the popular consumer die-cutting machines, these dies have been designed to cut all sorts of paper types from thin printer paper to thick cardstock, adhesive backed paper, vinyl and vellum. Die Size: Approx 139mm x 29mmQuantity: Pack of 1 dieTrue colors may vary from what you see on your screen.. Compatible with most of the popular consumer die-cutting machines, these dies have been designed to cut all sorts of paper types from thin printer paper to thick cardstock, adhesive backed paper, vinyl and vellum. 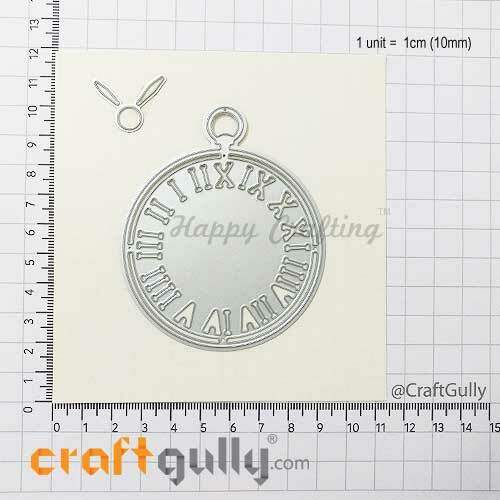 Die Sizes:Clock Face: Approx 67mm x 80mmHands: Approx 24mm x 18mmQuantity: Pack of 2 dies (one hands, and one clock face)True colors may vary from what you see on your screen.. 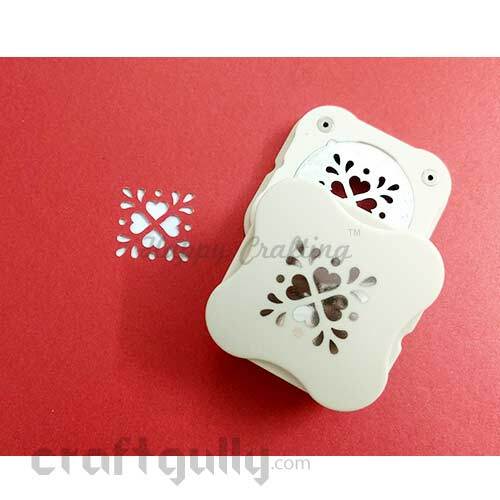 Compatible with most of the popular consumer die-cutting machines, these dies have been designed to cut all sorts of paper types from thin printer paper to thick cardstock, adhesive backed paper, vinyl and vellum. Die Sizes: Approx 63mm x 45mmQuantity: Pack of 1 dieTrue colors may vary from what you see on your screen..